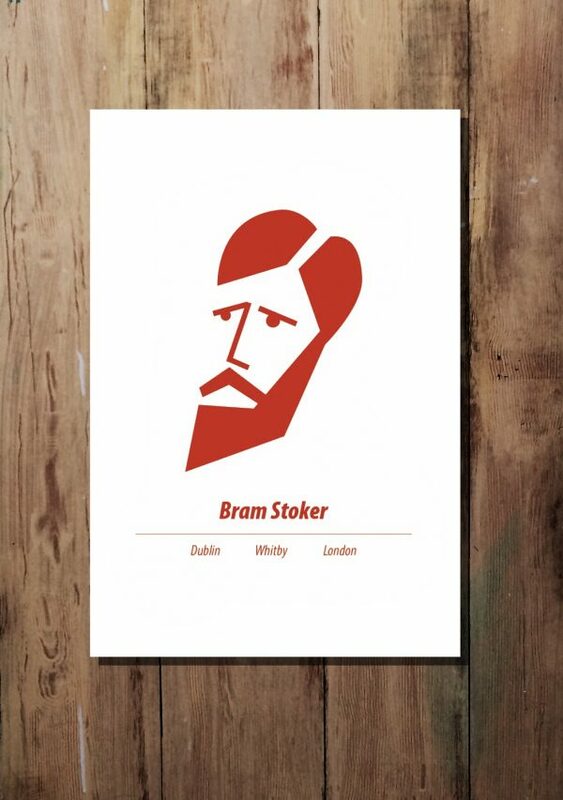 This graphic Irish Writers Bram Stoker print by At it Again! features an iconic image of the Irish author of Dracula, and places of importance in his life. A great literary gift for Gothic fans and book lovers. Made in Ireland. 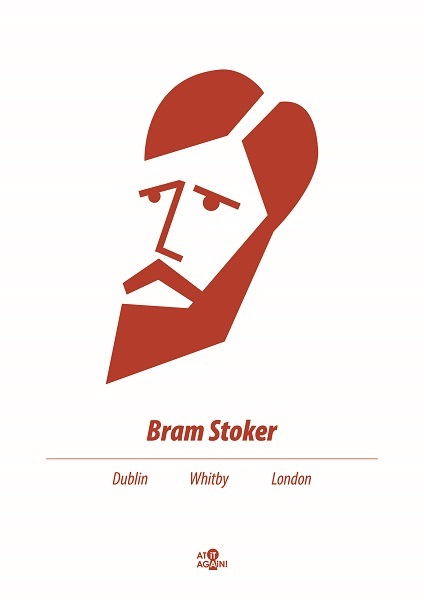 This graphic print of Bram Stoker by At it Again! features an iconic image of the Irish author of Dracula and places of importance in his life. 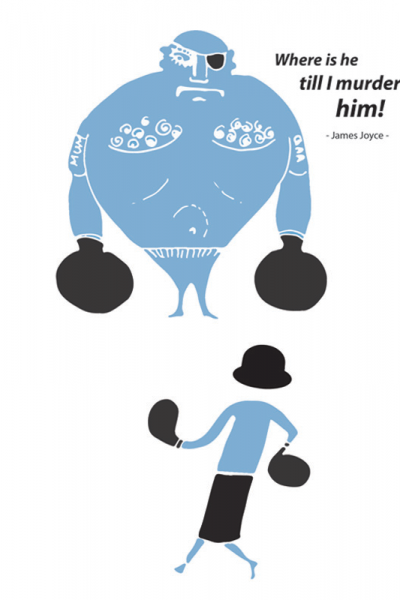 The illustration is from the author’s bio in our pocket guide, Romping through Dracula. This bold red Irish Writers print is a perfect literary gift for vampire and book lovers for birthdays, Halloween and other special occasions. 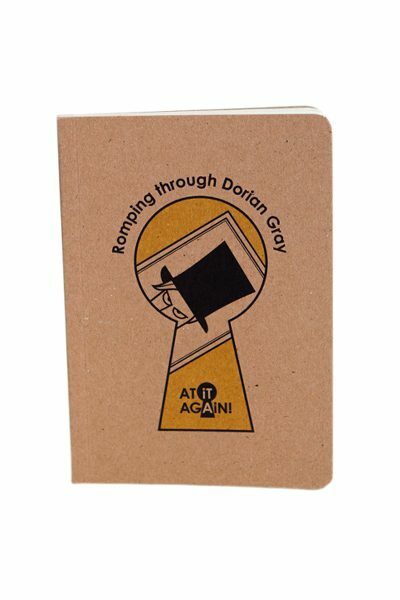 Or a great way to show your love for the places you call home or have traveled. Made in Ireland. Abraham “Bram” Stoker’s Gothic imagination was stoked from an early age. Born during the Irish Famine in the Dublin suburb of Clontarf, he spent the first seven years of his life mysteriously ill in bed, entertained by his mother with gruesome tales of cholera epidemics and banshees. Dutifully following his father into the civil service at Dublin Castle, he filed reports by day and started writing darkly romantic stories by night. Stoker also became a theatre critic for the local papers. When he met his idol, Shakespearian actor Henry Irving, he offered him the job of manager at the Lyceum Theatre in London. Leaping at the chance, Stoker swiftly married renowned local beauty, Florence Balcombe and they moved to England. His ashes are laid to rest in Golders Green Crematorium in London. You can find more Bram Stoker literary gifts here.